Your Mercury-Free and Mercury-Safe Dentist! Find out about our safe mercury removal service. Our philosophy of holistic or biological dental medicine involves taking a different approach to the practice of dentistry. It means looking at the patient as a whole person and addressing any dental issues from that perspective. Read more about holistic dentistry and what it means to your health and well-being. Vladimir Gashinsky, DDS, “aka” Dr. G, has been in private practice at his Millburn, NJ office for over a decade, providing exceptional holistic and biological dentistry with surgical expertise in a friendly, home-like environment. 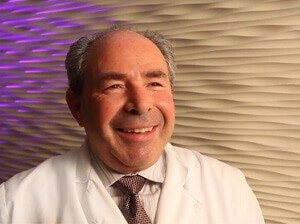 Dr. Gashinsky studied at the Institute for Systemic Medicine and Dentistry and is a Fellow of the Institute of Nutritional Dentistry. He is an Accredited Member of the International Academy of Oral Medicine & Toxicology, and has been seen several times on CBS and Channel 12 News. See Our Special Offers for New Patients!